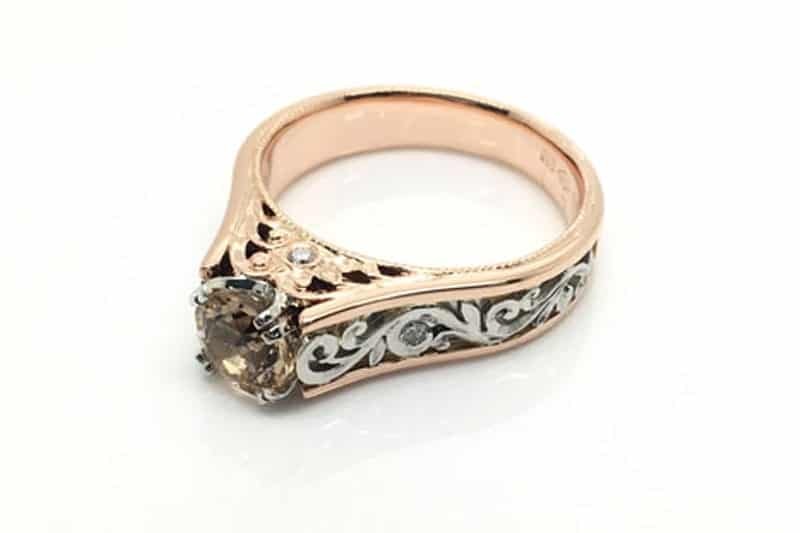 Our (engagement ring) customers come to us because they want to create a unique custom engagement ring for their partner. It’s like high schoolers looking for a post-school job. Some know exactly what they want, and others don’t have the first clue where to start. We spend a lot of time helping people to get to the point where they know exactly what they want to do. We also help to create an understanding of what things will cost and to work out priorities in design and budget. From there, we fine tune the details, choose the diamonds and/or gemstones and metal and book the job into one of our workshops for manufacture. This process works really well. However, not everyone is comfortable making an initial contact, or comfortable being in the ‘I don’t have a clue’ stage. Many prefer to approach us with a greater knowledge of what it is they are asking for. For most people, this is a one time purchase. It is completely understandable that it sometimes feels like a foreign language, and it can be overwhelming. If you don’t know what you want, then you are likely to be bombarded with choices. Choices that sometimes don’t yet make a lot of sense. It can be confusing and frustrating if you don’t know how the process works. After years of these types of conversations with people, I decided that it would be a good idea to create a guide to help demystify the process. My partner Benn and I worked together to create a guide to designing engagement rings. It doesn’t answer every question (and will likely be periodically updated and edited) but it should help to organise your thoughts. It’ll help you understand what questions you should be asking yourself to create something that’s perfect for your partner. We strongly believe there is no one right ring design. There is only what works for the recipient. There are so many lifestyle, taste, personal ethos and budgetary considerations to factor. Reading the Guide and then working closely with us to fine tune the design gives you a much better opportunity to get it right for your partner. Even if you don’t work with us to create your ring, at least you will be better equipped to ask questions of your supplier. To download your free copy, just click on this link. To get the ball rolling right way, contact us here. We hand make all of our rings in Australia using recycled metals and ethically sourced diamonds and gemstones. We offer Australian, Canadian, vintage and recycled diamonds and Australian sapphires. And we offer Fair Trade options such as ruby, spinel, sapphire, tanzanite, tourmaline and garnet. Take a look at our gallery to see for yourself how an engagement ring can be pretty much anything you can imagine. Likewise, if you’d like to know more about how much things cost, click here.